G.H. Cricks was the producer of many comedy and crime films during the new century, with his name attached to several well-known companies. His main trade mark was the head of a roaring lion - 'Lion's Head Films' - predating MGM by many years. A keen amateur photographer, by 1895 he was the Assistant Honorary Secretary of the Leytonstone Camera Club. He was employed by George Harrison & Co., a firm of stationers, and when they opened a photographic section, Cricks was the natural man to run it. He made his first films in the late 1890s using a Moy camera on the roof of premises in Camden Town. Cricks then moved to a managerial position at Robert Paul's Animatograph Works, running the London office in Holborn. In 1904 he teamed up with Henry Martin Sharp as Cricks & Sharp, film producers. 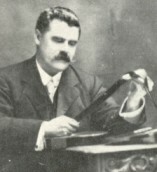 In 1908 the firm became Cricks and Martin, with John Howard Martin (another former Robert Paul employee) the new partner, specialising in trick films. Martin departed in 1912, and Cricks entered the harder world of crime series and feature films. 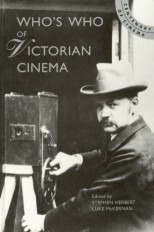 Lack of financial resources eventually led to the closure of his company, and Cricks managed the Croydon Film Company for some years, then became manager of the film printing department of Gaumont.